I am trying to choose the best type of mattress and where to buy it. Can you direct me in the right direction to get the best deal? I have never bought a mattress in my life so I do not know much about them. I have been sleeping on the same innerspring mattress for about 10 years and I want to buy a new one. I have realized that it is the source of my back pain. I’ve seen Sealy, Serta, Sleep Number Bed, Simmons, and Tempur-Pedic, but I do not know what brand is the best quality or best deal. Any advice or recommendations you can give me? A mattress is a big investment. Think about your mattress budget but keep in mind that a cheaper mattress is usually a waste of money. There are many different types of mattresses on the market today. Some are made of memory foam, some incorporate air filled sections, some have innersprings, and some are a mixture of all. Buying online is a good choice to save money but you don’t get to actually lay in the bed and test it out. You can rely on reviews but everyone is different. There are side sleepers, back sleepers, and stomach sleepers. 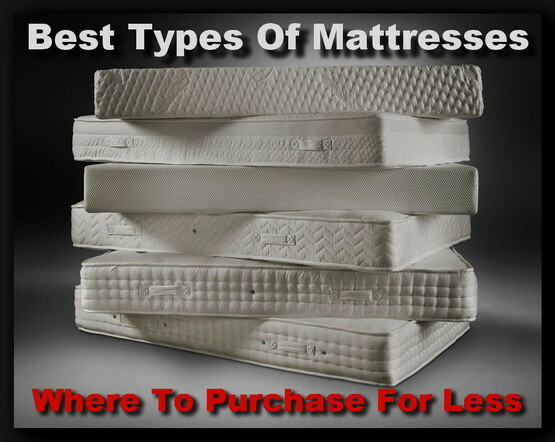 So be sure you are looking for the right mattress for you. Make the time to shop around and actually try at least 6 different brands before you think about purchasing. Sales people make commission so don’t be pressured and make a the best decision for your comfort and sleep quality. If you decide to purchase in a store whether it be an actual mattress store or a place like Macy’s, Sears, Costco, or Sam’s Club, ask about “satisfaction” warranties. Be sure to ask how long they give you to try the mattress and if you can send it back if it is not the right choice for you. Buying a mattress has changed in the last few years compared to how it used to be. The online mattress industry has grown dramatically. Use that as an advantage as you can now find a mattress that would have cost you from $1000 to $5000 in a store for less than $1000 online. If you wake up tired or achy, you should consider buying a new mattress. If you sleep better on hotel beds than at home, you should consider buying a new mattress. If your mattress is sagging or has lumps, you should consider buying a new mattress. If your current mattress is at 5 to 8 years old, you should consider buying a new mattress. Use our mattress guide below to help with your new mattress purchase. Sleepopolis – Mattress website with many comparison reviews and lots of good information. Has some generic buying and shopping guides that can help you make a more informed decision. Leesa – Is a hybrid mattress made from Avena which is a latex alternative and memory foam. These mattresses are good quality, inexpensive, and one of the better made mattresses available online. Tuft & Needle – The cheapest online mattress option. Good mattress if you are looking for a firmer type. Good option if your budget is tight and a firmer mattress is what you prefer. Amazon – They actually sell just about every mattress type possible and if you are a Prime member, free shipping too. Saatva – One of the only innerspring mattresses online at a low price. Great option if you want to stay with an innerspring mattress. Casper – One of the larger names you see online that have been around awhile. Perfect option if you seek something soft, but has thin comfort layer. Some claim it can feel firmer especially if you are larger person. Nature’s Sleep – A true traditional wholesale mattress shop. More on the super high quality and higher end mattresses. Not the best in terms of returns but good value for the money. Yogabed – This is a newer mattress company. Good mattress with nice extras such as free pillows, etc. Consumer Reports – A great place to read up on the different mattress types and read reports of quality and comfort. Most of these mattress companies give you 30 to 90 days to decide if you like the mattress. Returns are easy. Many of these mattress companies don’t even want to have it shipped back. They will sometimes work with you to donate it to a local charity or a place like Goodwill. Most people nowadays buy memory foam mattresses. They last a very long time, cost less, and they wont squeak or have springs that wear out. There are many different types of memory foam mattresses so if you decide to go for one, check reviews and find a location to try it out before you purchase it. Some people choose to go to a mattress store, try out all the different beds, and then go online and buy it for half the price. This may be a good idea if the mattress you want is online for less but available to test at your local mattress store. Take the time to choose the BEST mattress brand for the best sleep! TIPS: If the bed you are sleeping on has no dips or sags, save money by adding a high quality memory foam mattress topper. Memory foam density is more important than the actual thickness. All mattress toppers come in 3 measurements which is: Size, Density, and Thickness. 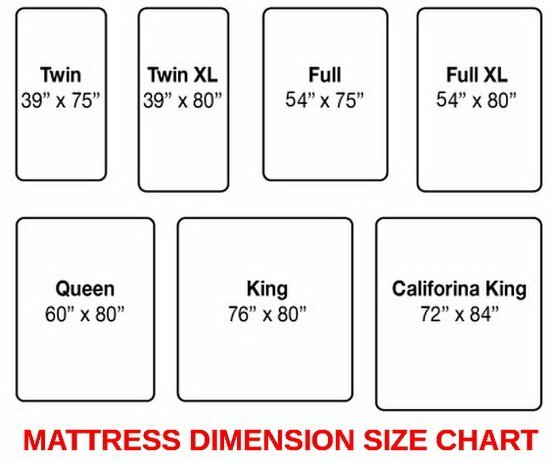 Choose the size you want (full, twin, queen, king), then buy the heaviest density you can find. If you know where to look, you can find $1000 and higher cost mattresses at discount mattress stores on clearance for as little as $300 when a sale is on. So check the newspaper or online to see if a sale or clearance is on before you go to purchase. Look for coupons or flyers in your mailbox that you usually would throw away. Most Wednesdays your local mattress store will send out mailers informing you of a deal or promotion. So check your mail to see if there are deals in your area. I have used Simmons beautyrest extra firm as well as ultimate firm mattresses and they have excellent support. They haven’t sag after years of use. I highly recommend them.